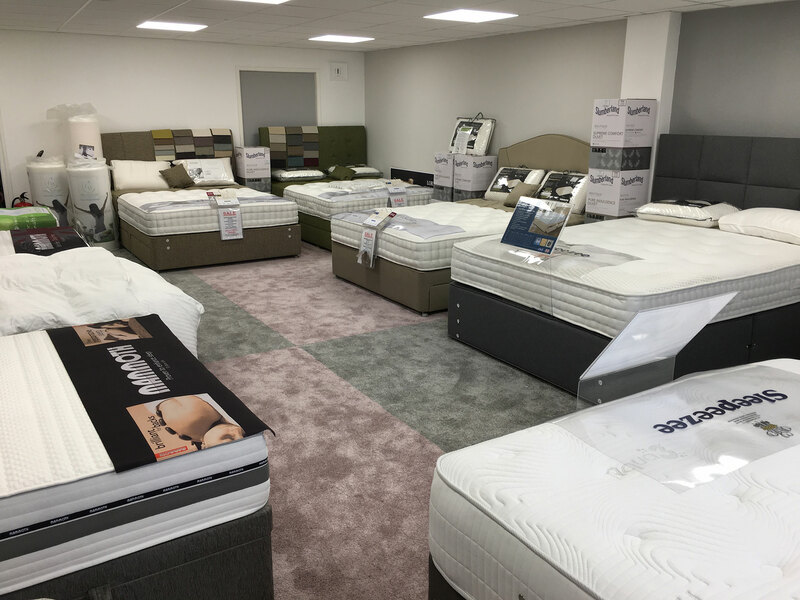 Whatever your budget or preference for size and type, Finsbury House Carpets and Beds in Blackpool is where you’ll find a bed to give you a good night’s sleep whatever your budget. 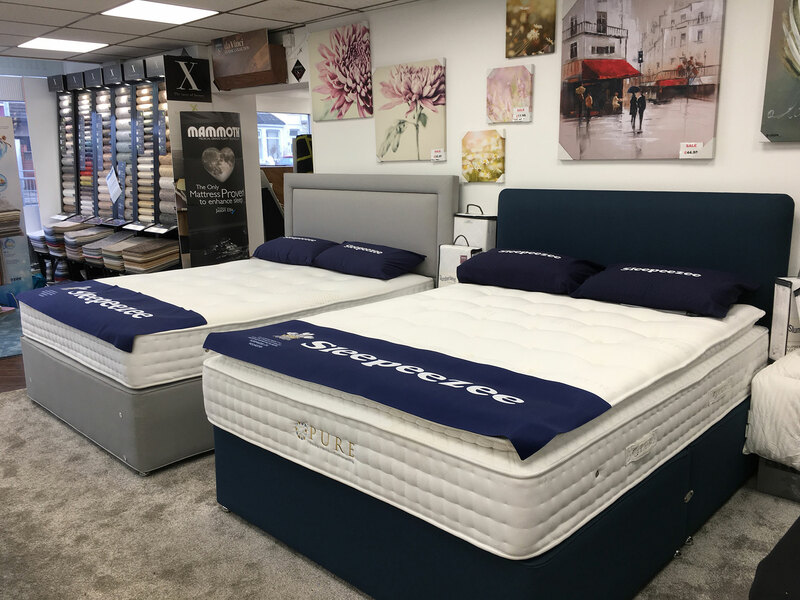 We supply a range of beds from quality, leading brand name suppliers such as Sleepeezee UK, Mammoth and Harrison. 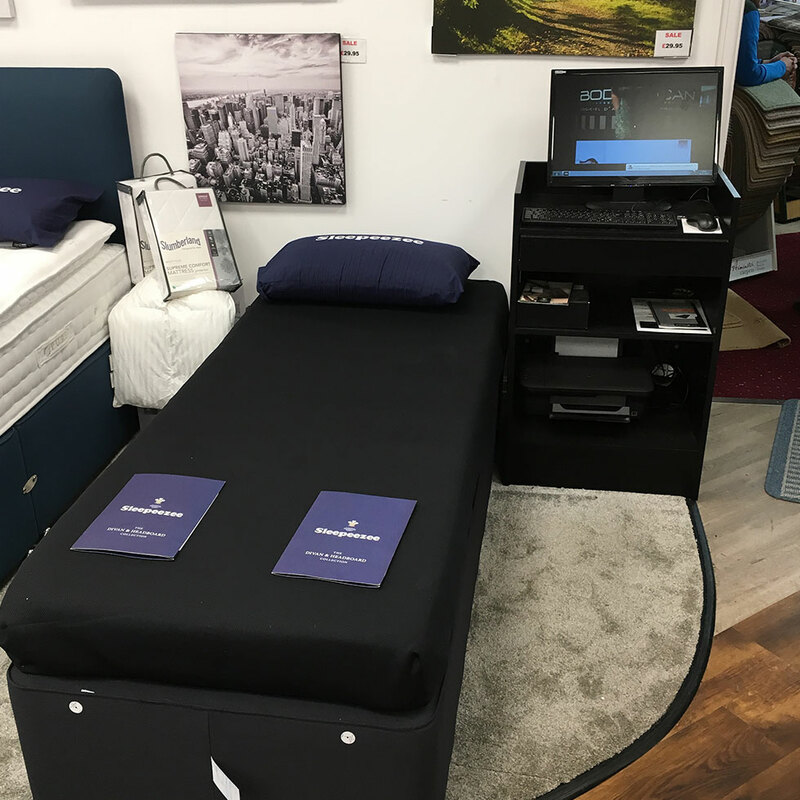 The Sleepeezee BodyScan in our showroom is a piece of modern technology that can help take some of the guesswork out of choosing your new mattress and bed. The average person will spend roughly a third of their life asleep – and that time is crucial to the maintenance and improvement of health and wellbeing. Put into that context, a mattress is the most important household purchase you will ever make . . . and it can be life-changing. Not sure we could have put it better. 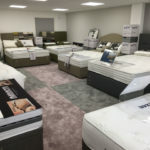 It your looking for a good night’s sleep call in and take a look at our brand name beds adn headboards. if we’re going to make a beautiful bed, we’ve got to do it all ourselves. 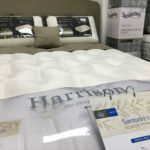 Explore the range of Harrison Beds in our showroom. 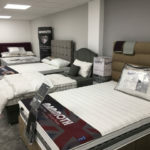 We’re sure you’ll find a quality bed to suit. 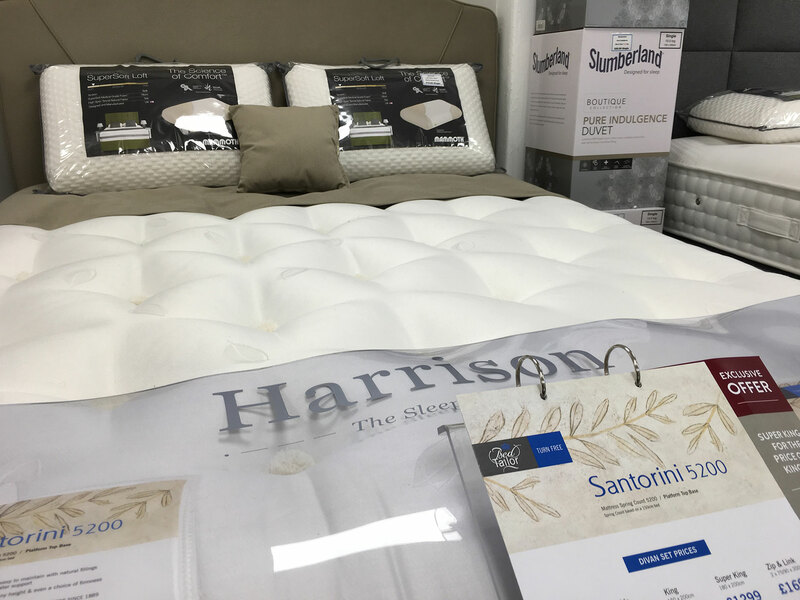 Finsbury House truly provides the best bed accessories with a wide range of pillows, mattress protectors, new duvet and headboard products. 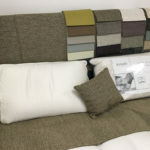 For all the information on our beds and accessories go to the new Bed & Accessories section. 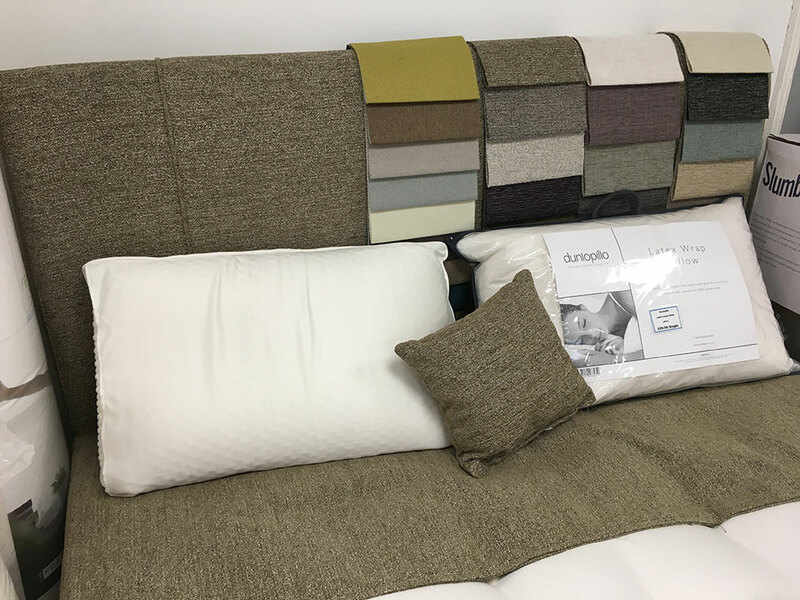 Don’t forget to check out the huge range of carpets from the Flooring section for a complete bedroom transformation! 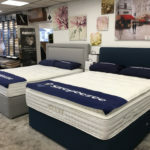 For complete peace of mind, when you buy your bed or mattress from Finsbury House Carpets and Beds you can be assured that we’ll deliver it to your house as part of the price. 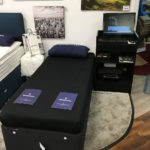 We’ll can also make arrangements for our delivery team to sort out the assembly and positioning in your bedroom (Charges may apply) and even take the packing plastics away when they leave. Choose Finsbury House in Blackpool, Lancashire for leading products and standards of customer service. 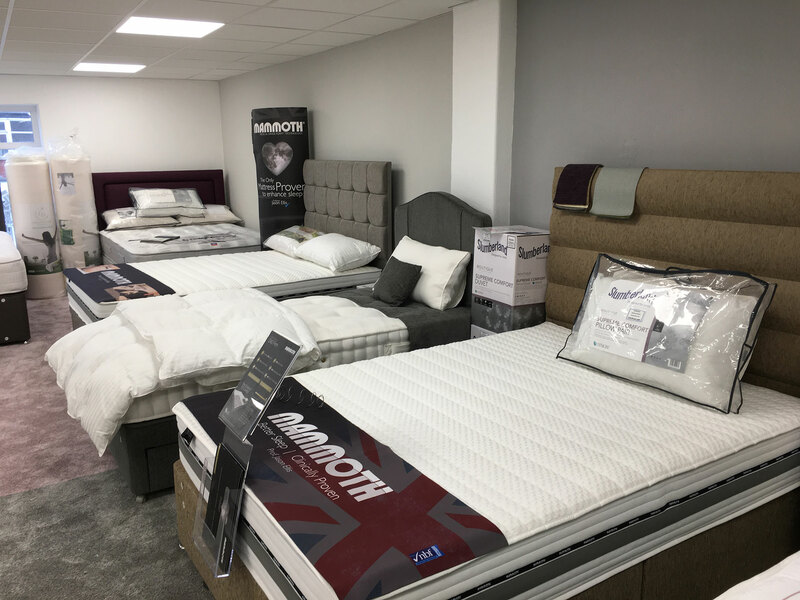 Call us today on 01253 762065 or visit our showroom on Ansdell Road in Blackpool, Lancashire.